There are options, oh so many options, when it comes to enhancing a photograph taken with an iPhone. From simple touch ups, cropping, adding filters, to advance curves and multi-imaging. For many folks, like me, it’s part of the fun with taking photos with the iPhone. There is tuning, testing, changes and learning. Even when an image looks about right, I’ll try something else just to see if I was missing anything. One image will end up with a dozen versions in my iPhone’s photo library. 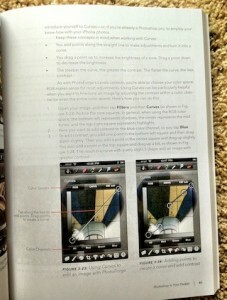 To get a better idea of options and seeing suggestions from the pros, there is a book I found: Create Great iPhone Photos. You can find it at a variety of online and local book stores.